Includes the names: Felice Picano, Felice Picano, Picano Felice, Felice Picano, ed. Felice Picano is the author of Twelve O’Clock Tales (Bold Strokes, $16.95 pb). Twelve O'Clock Tales is the fourth collection of short fiction by legendary novelist and memoirist, Felice Picano (The Lure, Like People in History, True stories). A personal homage to the storytellers of his youth, Edgar Allen Poe, E.F. Benson, and H. P. Lovecraft, as well as his acquaintances, Arthur C. Clarke and Harlan Ellison. Eleven dark tales, eerie, bizarre, and dreamlike, the tales will thrill and disturb, discomfort and titillate, enthrall and leave you wondering. Picano ranges across time and space, from tribal West Africa to the American heartland, to a lab in Venezuela, and a California highway fifteen years from now. His characters range from a teen accident survivor with a secret, to a far-future scholar forced to travel to a galactic backwater, to a retired L.A. cop who dabbles in astrology, and a peasant girl in B.C.E. Israel encountering the strangest of strangers. The eleven tales include brand new stories and acknowledged Picano masterworks collected here for the first time. Below are only a few of his books. Felice Picano reads from The Lure. 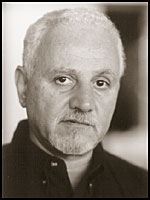 Felice Picano is currently considered a "single author." If one or more works are by a distinct, homonymous authors, go ahead and split the author. Felice Picano is composed of 5 names. You can examine and separate out names.